I. am. so. tired. I know that as soon as my head hits the pillow, I am going to knock out! Yup, stretching my legs out and sitting back (this is my "sneaky" way of showing off my cute socks). Can you blame me for relaxing after a long day? After hours of playing in the snow my body is super sore. I think I need to get out there more often and exercise! Well, I need to call it a night since I can barely see clearly. 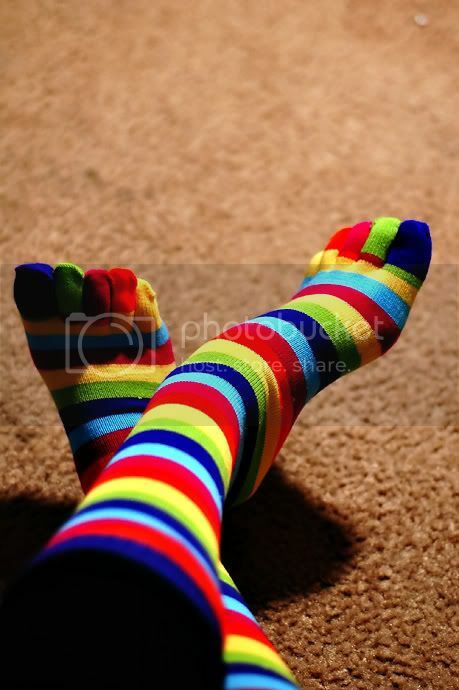 I have always wanted socks like these!